Slice of Life photo—Pick one of people in the photo attached. Write a brief first-person account of what is happening from their point-of-view. 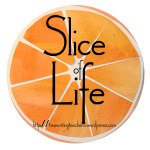 Use dialogue, descriptive language and other features you’ve practiced to make this “Slice of Life” come alive. Post to your blog with a CREATIVE TITLE! **Any guesses about the origin of this are welcomed! I’ll let the class know the details by the end of the week!